I am sharing this because I feel very strongly about this. 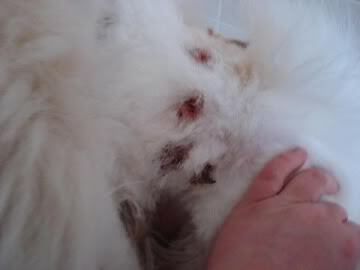 Many people who use this cruel device say that it doesn’t hurt the dogs. But, how many of those people have actually tried it on themselves and tug on it? If it hurts on your neck, it hurts on their neck even more. If you won’t put it on yourself or on your child, you shouldn’t put it on your dog. If you cannot control your dog in any other way, then you should have adopted a smaller dog. If you see someone with this on their dog, please politely ask them to consider not using them. You could be saving a dog from a lifetime of trauma and pain. Thank you!! 🐶 Why This Veterinarian Hates Prong (aka “Pinch”) Collars. 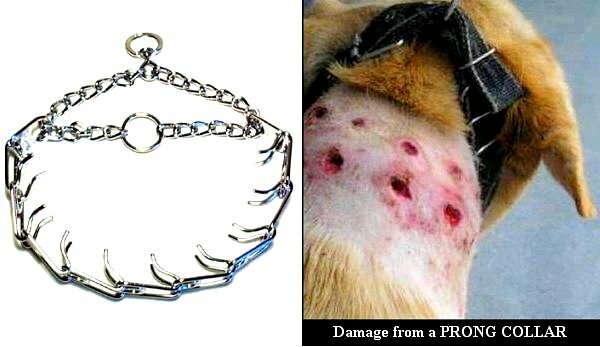 🐶 [Sharing from PETA] What are the dangers of using choke and prong collars? The most humane and safest option for walking a dog who tends to want to pull is a front-leash attachment harness, such as the Sense-ation. When dogs lunge or pull while wearing the Sense-ation harness, the front leash attachment redirects them back toward the dogwalker. With patience and positive reinforcement, walks can be a pleasant experience for both human and dog.